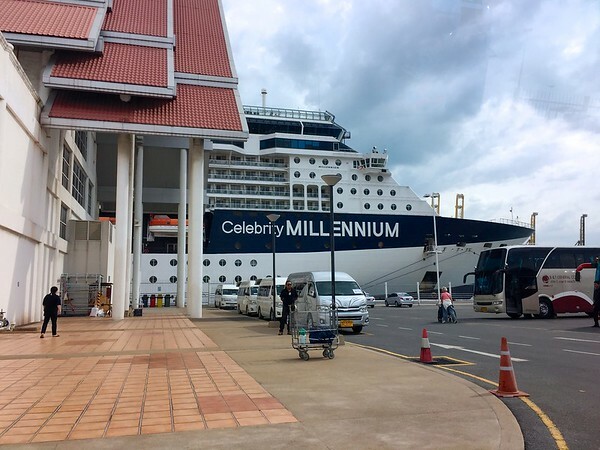 Today was the anticipated “first port” after Singapore – “Laem Chabang”, Thailand. 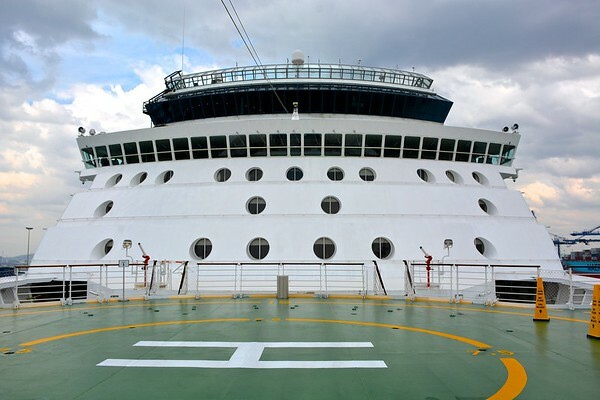 Our ship would be docked at this port for 2 nights and 2 1/2 days. The estimated arrival time is 2 pm this afternoon. We were kindly invited by the Events Coordinator to a special “sail in” on the Helipad for 12:30 pm. 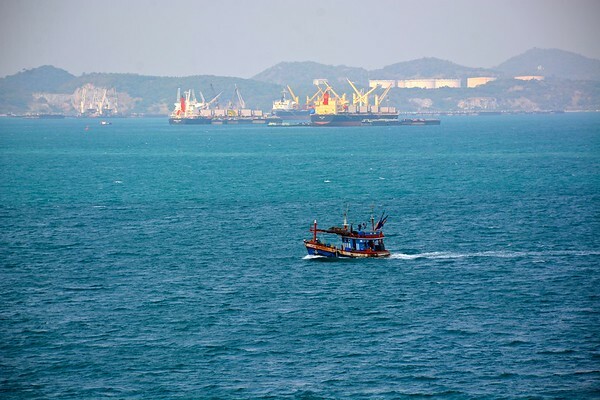 Upon sailing in, it was quite evident that Laem Chabang was a large industrial port with large shipping containers and cranes populating the coastline. I could now understand why it was suggested to ensure that if you hired a taxi that it picked you up “within the port” rather than walking to the gates to hire a cab. Although not impossible, I would not want to navigate this industrial port with large trucks, containers, and traffic. Once we had docked, our group of eleven (11) met in Cafe Bacio (Deck 5). 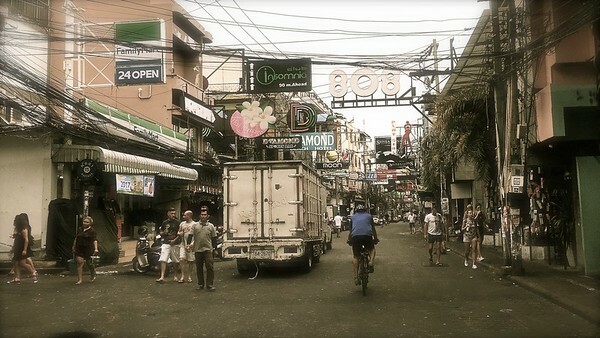 We had hired a van from “Oriental Escape” for 6500 BAHT return trip to take us to our “wish list” of destination sites. It was a “Do it Yourself Adventure” based on the common interests of 11 people. The port gateway was easy to navigate and once we cleared the building, the parking lot was laden with buses and dozens of minivans awaiting their guests. Our driver was waiting for us with our group name on a sign and then he asked us to wait as he retrieved the mini van. The van was large and comfortably seated the 11 of us with a bit of room to spare. 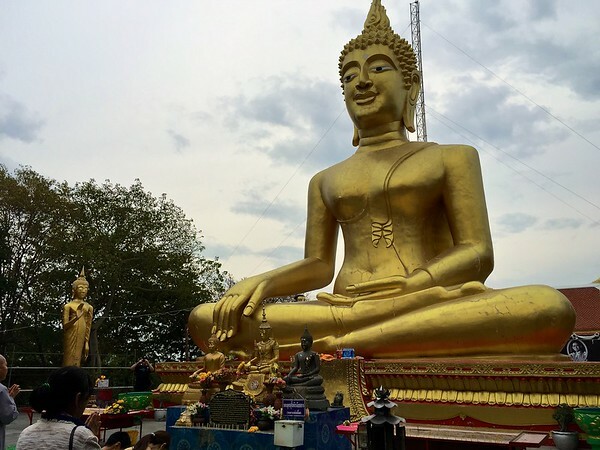 Our “DIY” itinerary would include: Sanctuary of Truth, Khao Phra Tamnak hill [Big (Golden) Buddha / Wat Phra Yai Temple] and Wat Yansangwararam Temple. The Sanctuary of Truth was our first destination. 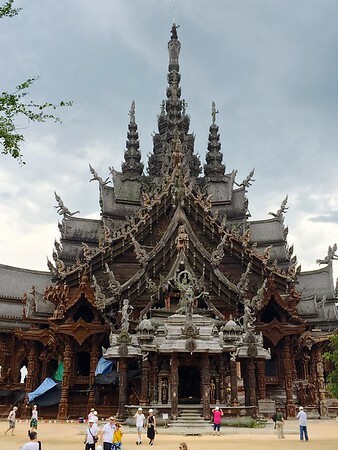 From the SoT web site it describes the building as: “… constructed according to ancient Thai ingenuity and every square inch of the building is covered with wooden carve sculpture. 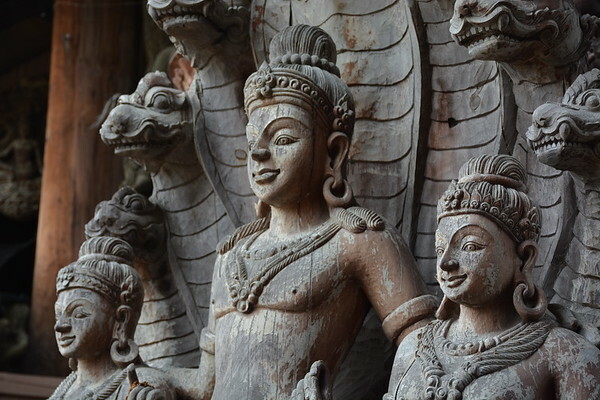 The purposes of decoration with wooden carve sculptures are to use art and culture as the reflection of Ancient Vision of Earth, Ancient Knowledge, and Eastern Philosophy. With in this complex, visitors will understand Ancient Life, Human Responsibility, Basic Thought, Cycle of living, Life Relationship with Universe and Common Goal of Life toward Utopia.” The building itself was very impressive, however, it was a little spoiled by the commercialization surrounding it. 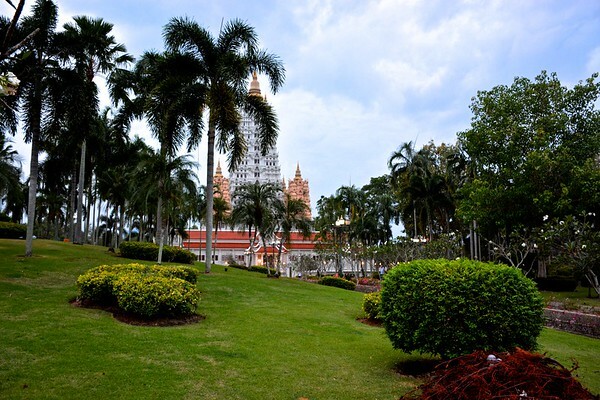 From purchasing grass to feed the horses or goats with flowers in their horns, to carriage rides, elephant rides, to speedboats around the Sanctuary, I personally felt that the material aspect surrounding the sanctuary took away from the spiritual experience of such a magnificent building. Our group spent approximately one hour at the site before we ventured off to our second destination. 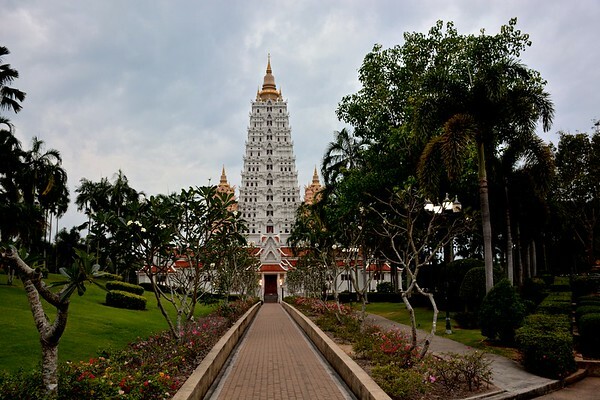 Our next destination, Big Buddha Hill Pattaya or Wat Phra Yai, is located in the centre of Pattaya city between Jomtien and Pattaya and to get there from the Sanctuary of Truth, we had to travel through the streets of Pattaya, which was an interesting experience on its own. From tattoo shops, massage parlours, and lady boy / go-go shows – Pattaya was a very colourful drive through! 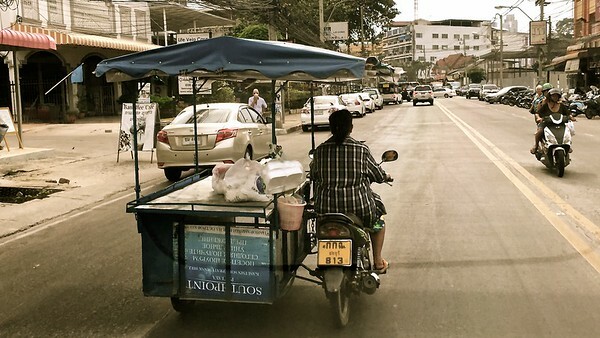 The traffic was heavy and we arrived at Khao Phra Tamnak hill later in the afternoon. Once we arrived, we found that the Big Buddha is located at the top of a long stairway flanked by two golden colored naga snakes. I decided to stay at the base, as my continuing state of wellness was taking a nose dive and I didn’t feel that I could make it to the top of the stairs, which normally would be a non-event (it was a gentle, sloping incline of stairs). 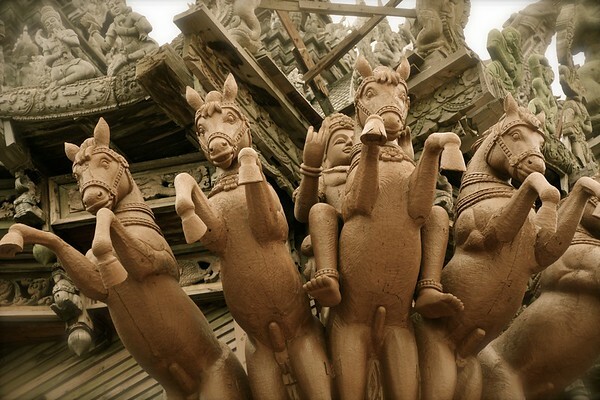 Our final destination was Wat Yansangwararam Temple. We arrived as the sun was setting which was tranquil and picturesque, but unfortunately the temple closed at 5 pm, so we were not able to enter the magnificent structure. Although the temple itself was closed, our group leisurely strolled the beautiful grounds that were clean, well groomed, and very peaceful. This particular destination I could have spent the most time at and it was my personal favourite of the three. From our last destination, we returned to Pattaya where the van dropped off one couple who were staying overnight in Pattaya. The remainder of the group were then returned to the ship and we were back shortly after 7:30 pm. Our total trek time was 5 hours (14:30 – 19:30 hours). Anthony & I had a quick dinner in Luminae and then we began discussing what to do about Day 2 in Thailand – as by this time, I was feeling even more unwell. We decided to leave the ultimate decision until the morning, as perhaps a good night’s rest would do the trick. Waking up on Day 5 was met with a tough decision. Who was going to stay and who was going to go? Waking up with a temperature of 102 F, I knew I had to stay on the ship as there was no way I could endure an anticipated 12 hours away from the ship. Anthony wanted to stay behind with me as well, but in the end we decided that at least one of us should see Bangkok! Our butler Sebastian was an absolute angel as when Anthony headed off on the trek with fellow cruisers Steve & Lorraine, Sebastian escorted me to the nurse’s medical station where my official temp could be taken and any suggestions to combat whatever I had picked up. The nurse confirmed that I was unwell and gave me several suggestions for the day which included plenty of bed rest. Sebastian then escorted me back to the suite and kindly brought me hot water & honey to drink throughout the day. In addition, I had plenty of fruit in the room to snack on and sandwiches were brought to me later that afternoon. It was a quiet day of rest, a couple of movies and “Top Chef” episodes, and before I realized it, it was 7 pm and Anthony had returned home from his day in Bangkok. 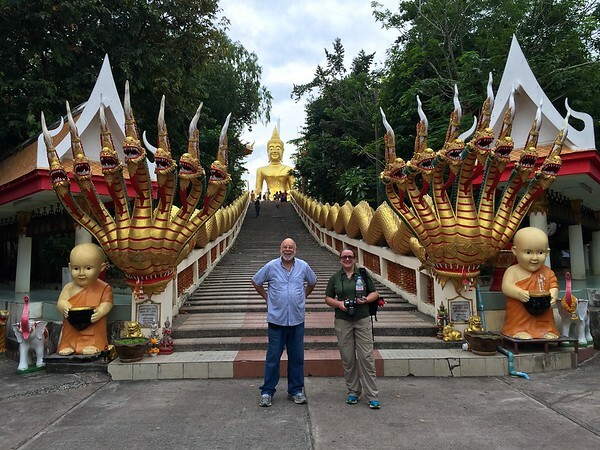 I will have to get the full report from Anthony at a later date, but he mentioned it was a brilliant day in Bangkok and Mr. Mike of http://www.bangkokasiatravel.com was an amazing guide. The very small private group of 3 had an extraordinary day and YES! 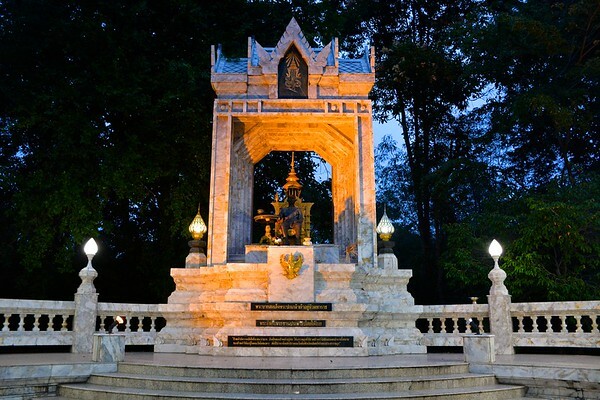 the highlights of *Bangkok* can be seen in a day! 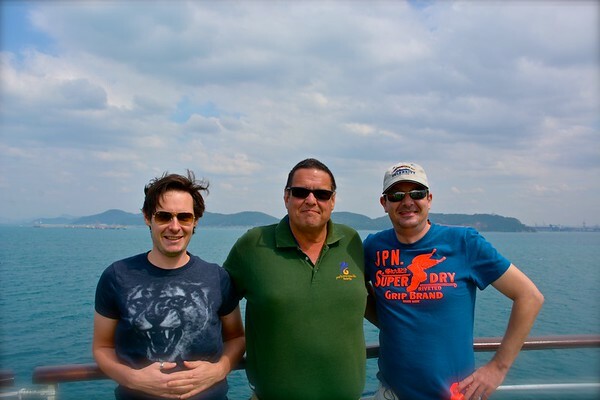 Today we were supposed to venture off to Ko Si Chang island with fellow cruisers from the cruise critic roll call. However, I was still running a fever and Anthony did not want to leave me for a second day in a row. So? we reluctantly stayed behind and stayed on the ship for a day of rest. 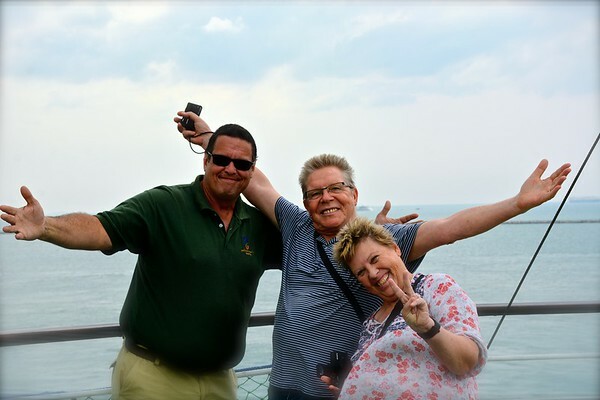 Although my heart was breaking to spend 2 out of 3 days of our Thailand overnight stay on board the ship, the rest proved successful as later that afternoon, my fever broke and I began to feel more like myself. I am still plagued with a nasty cough, but things are improving and the short term pain and loss of missing out on seeing the sights of Thailand, will have longer term gain in feeling better for the remaining week we have on board the Millennium. 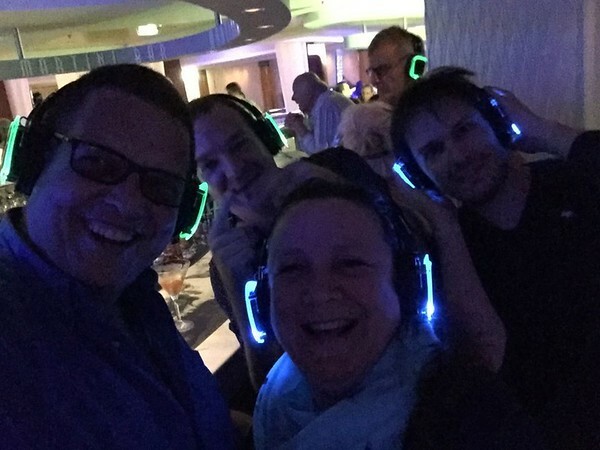 Later that evening, we met up with Gert & Jerry to share in a short but sweet “Silent Disco Party” at the Martini bar, followed by a lovely dinner in Luminae. 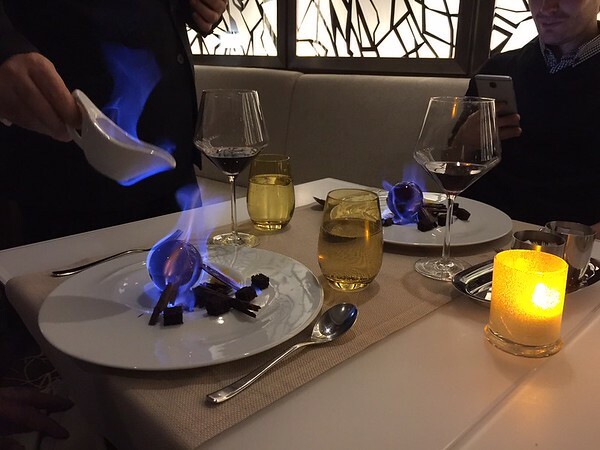 Gert, Jerry, & I indulged in the “Chocolate Sphere” for dessert, which was quite the presentation of a flaming blue dessert!